You’ve heard it all: the good, the bad, and the ugly. You’ve heard how gluten is bad and the evil twin of sugar. But did you know that gluten is also unavoidable like sugar? Really! Gluten isn’t all that bad if you know all that there is to know about it. Here, let me help you to settle and rest your fear of gluten for good. It’s a protein that causes a problem. You probably don’t need to completely avoid it. Living gluten-free can make you fat. Gluten is not something to fear. You see. It wasn’t all that bad, was it? Still… it’s good to know a thing or two about what gluten is in essence. Gluten is basically a combination of gliadin and glutenin, two proteins found often in wheat, barley, and rye plants. 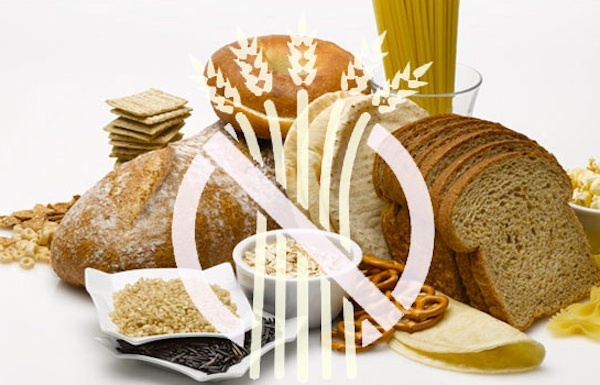 There have been some fears about a gluten-free diet in the past, such as a potential loss of B-vitamins, iron and fiber, and the carbohydrate energy. However, the research over the years confirmed that there need be no such worry. It actually shows that a gluten-free diet can indeed increase energy production, improve vitamin and mineral absorption, as well as your immune system and hormone balance. So what do you think? We all run out and eat gluten-free food only, right? Not really. Well… Sort of. Health.com recently published an article on how people make mistakes on going gluten-free diet. It can cause some havoc if you don’t know what you’re actually avoiding. One of the common mistakes you can make is that gluten-free is the same thing as wheat-free. Not so. Nor does it mean you load yourself up with gluten-free junk food. It also doesn’t mean an automatic weight-loss as though you can ignore the rest of your diet. In fact, there are certain foods that you may have never thought contain gluten. Not just food, but even certain medications contain gluten or some vitamin supplements. People with Celiac condition must be very careful on what has gluten and what doesn’t. But even for ordinary people, it is a good thing to know gluten can be found in some unsuspecting food apart from the obvious such as breads, cakes, or beer. Some of the unsuspecting gluten-ridden food sources are soy sauce and pickles. Wow, really?? Yes. It is the process they go through; for example, soy sauce is mixed with wheat while pickles with malt vinegar which in turn is from barley. Or, how about those veggie burgers or hot dogs? They both contain wheat gluten in their petty or sausage. And then there is the salad dressing in which the thickening agent often contain gluten. Oh, don’t forget the junk food such as those chewy licorice or flavored potato chips. If you check their ingredients, you will find that licorice is dressed up with an added wheat flavor while potato chips are processed with flavors such as wheat, barley or rye. The bottom line? It is Okay to partake of some gluten. You just need to be aware what you are eating and how much. There is nothing like a healthy diet. Be sure to learn about gluten, and be in control. Then you will have nothing to fear about gluten. Author Bio: Rick Rockwell is a self-employed personal trainer and experienced freelance writer. His articles have been published throughout the Internet. He has more than eight years of experience as a certified personal trainer, group fitness instructor and lifestyle coach. He is also the Content Manager for Apppicker.com and Chooseterm.com. 22 Responses to Is this your idea of Gluten? Thank you for clarifying the difference between wheat free and GF. I know that many people go GF for personal reasons but for those who must, it’s not all fun and games. I have a gluten intolerance simply because my diet consisted mostly of carbs. My GI specialist recommended not completely cutting out gluten but to cut back and eat more healthy fruits and veggies…no need to go completely gluten free unless you have Celiacs. Many, many folks have suggested that I go gluten free due to joint pain that I have. Well, I got tested by a Rhuematologist for Rheumatoid Arthritis, as well as other auto-immune diseases and the only thing that came back was high protein levels in my urine. I didn’t realize that gliadin and glutenin are actually proteins. So maybe it’s not about going gluten-free for me, but monitoring my protein levels. I undergo further testing next week. We’ll see what the doc says! Thanks for the article. Things are all beginning to make more sense. Pickles?! Who knew? Thanks for the enlightenment. I am still torn on this debate, so for now I will keep consuming it. I am not gluten intolerant, but it does not hurt to cut back. Since no one in my family has a gluten intolerance, I must admit that I am not very familiar with a gluten free diet. I certainly didn’t know the difference between gluten and wheat free, so this was very enlightening. I was one of those people that assumed the wheat and gluten were one of the same or very closely related. And wow I had no idea pickles have gluten, who would have thought? I trialed my daughter on gluten & casein free for a few mnonths. It is amazing where they slip gluten in. Gluten is EVERYWHERE in processed foods (just like sugar) … I am not necessarily trying to avoid gluten itself but I am cutting back on my grains (just because I do better on weight loss when I’m not “carbing it up”.). This is great information! Once I toned down the amount of gluten in my life I found that when I eat items high in gluten, such as white pasta, I get bloated and yucky. Unfortunately, I have Celiac’s Disease, I am supposed to eat a completely gluten free diet. I have to say this harder than it sounds. I try to avoid it but it is everywhere! I wonder why so many people are sensitive to gluten nowadays? Gluten-free seems to be on the rise. Interesting, the point that living on a gluten-free diet can make you fat. Thanks for the info. Hubs doesn’t have an official diagnoses, but feels best when he limits gluten and dairy. We’re trying to go gluten free mainly for baby as she can’t have it. I’ve never really paid much attention to Gluten, since no one at our house has an issue with it we have never really researched it. That’s really interesting. I do think there are some people who need to cut it out completely but others may just need to limit it. I do not have a problem with gluten in my diet, but I did not know that gluten is in soy sauce and pickles. I do not use either of these products. Also, I am glad that I learned some important things about gluten, and want to reduce it in my diet. This is great to know! I have so many friends who are struggling with gluten intolerance and articles like this make it easier to understand! I also had no idea that gluten was in pickles! Thanks for an informative article.